We often get asked questions about languages e.g. which language is the most widely spoken, when should you start to learn a language, how long does it take so we have put together our own alternative Frequently Asked Questions! Whether you are new to learning a language or a language buff, we have put together some impressive language learning facts for your entertainment! 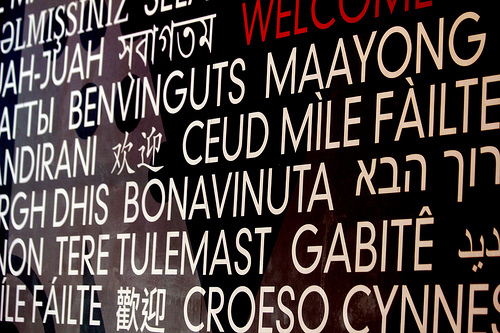 Did you know there are over 7000 languages? However, not all are written, some are just spoken. Despite this at least a quarter of the world’s population are estimated to have some knowledge of English. The Bible, or parts of it, has been translated into 2454 languages. 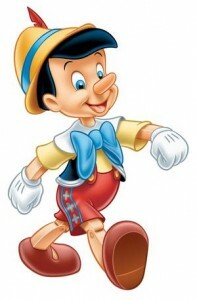 After the bible, the book that is available in the most other languages is Pinocchio. The most translated document in the world is the UN Universal Declaration of Human Rights, available in 300 languages. Basque, one of the oldest languages still spoken today and native to the Basque country in Northern Spain is the only European language to have no relation to any other known language. In Papua New Guinea there are 830 languages spoken. South Africa has the most official languages at 11. Earth Passport by Liquid Blue features 9 languages earning the honour of chart song that contains most languages. If you tweet in more than one language you’re not alone. The Pope tweets in 9 different languages. You are never too old to learn a language; our oldest student was 85 when he first started. However, if a baby hears foreign languages in their first 6 months they will find language learning easier in later life, suggesting the best time to start learning a language is as soon as possible! German is the language that is thought to be most similar to English. Although it is believed the easiest language for native English speakers to learn is Frisian, spoken in parts of the Netherlands. There are 74 letters in the biggest alphabet, Khmer spoken in Cambodia and 12 letters in the smallest alphabet Rotokas, spoken in Papua New Guinea. Welsh is not only spoken in Wales but in the Patagonia region of Argentina, thanks to settlers who went out there and kept the language. The longest English word is 189,819 letters long and is the correct chemical term for the human protein known as titin. It may not surprise you to know that this word isn’t in the dictionary! 2400 of the world’s language are considered to be endangered, with a language becoming extinct approximately every fortnight. Scientists believe learning a language can increase your brainpower as well as slowing the process of aging and related diseases e.g. Alzheimer’s. I was wondering when classes start in Bromborough and ow many/which evening etc? Could you let me know, please? Jenny is going to email you.